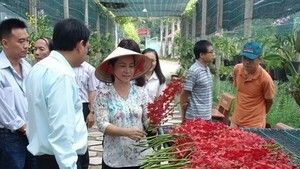 The People’s Committee of Ho Chi Minh City has recently promulgated an energy saving program to encourage the development of renewable energy, of which solar energy will be given the priority. Particularly, the program ordered relevant departments to propagandize and encourage citizens and enterprises to install solar panels on the roofs of their houses or buildings. The Department of Industry and Trade will be in charge of setting up the project to develop solar power at government facilities, schools and hospitals. 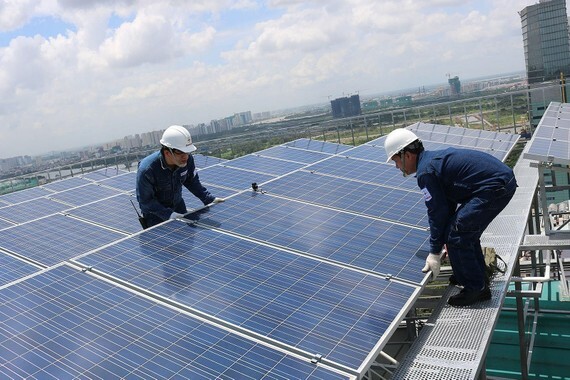 In addition, the Ho Chi Minh City Export Processing and Industrial Zones Authority will encourage firms to install solar panels on the roofs of their factories to partly meet their electricity demand. The program also set targets to implement effective energy saving solutions, aiming to save an average of 1.5-2 percent of commercial electricity generation annually. Government facilities continue to maintain energy saving, reducing at least 10 percent of their annual electricity costs. In daily life and business, related departments will have programs to persuade citizens and firms to apply effective energy saving solutions and lessen usage of power-consuming devices, including air-conditioners, water heaters and irons during peak hours.